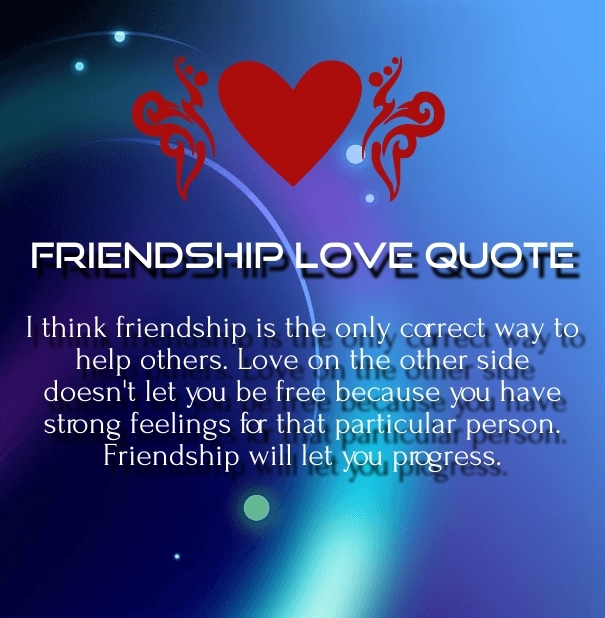 Friendship is very pious and strong relation and almost every love story start from friendship. 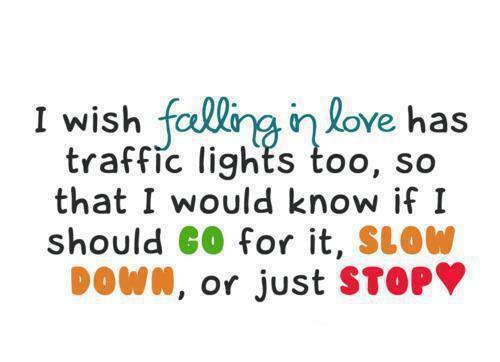 If you fall in love with your best friend then use these friendship love quotes to propose her. 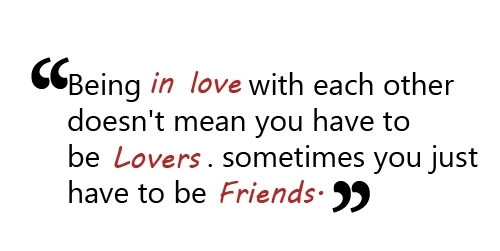 It is very common thing when one start loving his friend and later they could start affair or happily married. 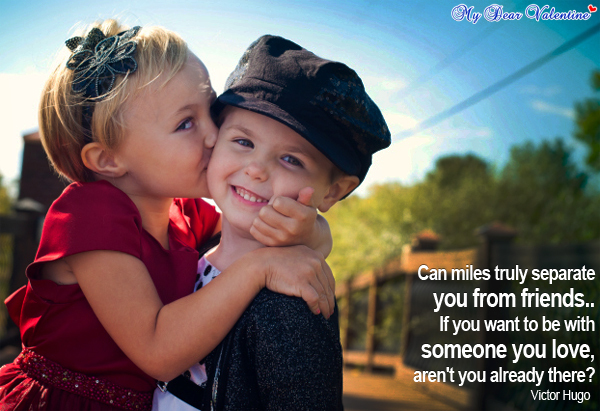 Friendship help you to understand your partner and to make your bonding with her. If you find similarities during friendship you may attract to each other to convert your friendship to love which is beautiful. 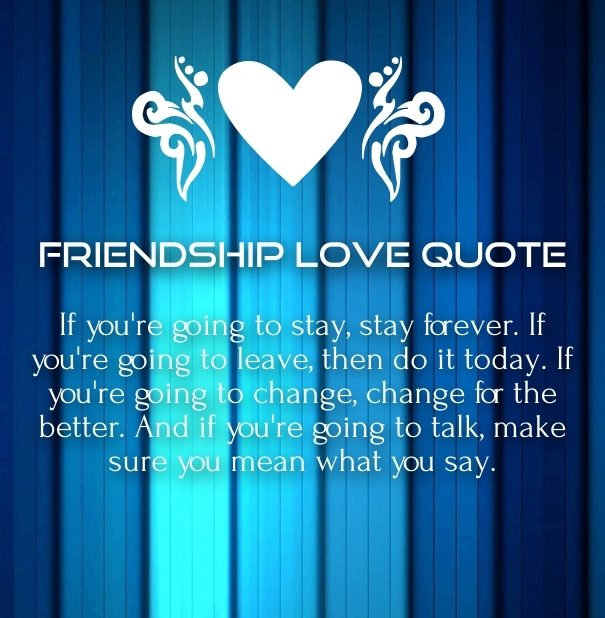 This quotes is giving you a lesson of seriousness that if you want to stay with her then stay forever and you want to leave then don’t wait and leave her today. If changes are required to get her love then change yourself for the better life. For any successful relationship, only love is not enough but you are friends of each other too. Because friends can understand without words and can do compromise for their friends. 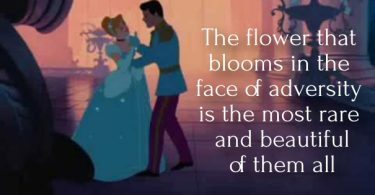 If you faced rejection of love then it is good idea to loose love but stay with her / him as a friend because with friendship you both may realize later and fall in love. 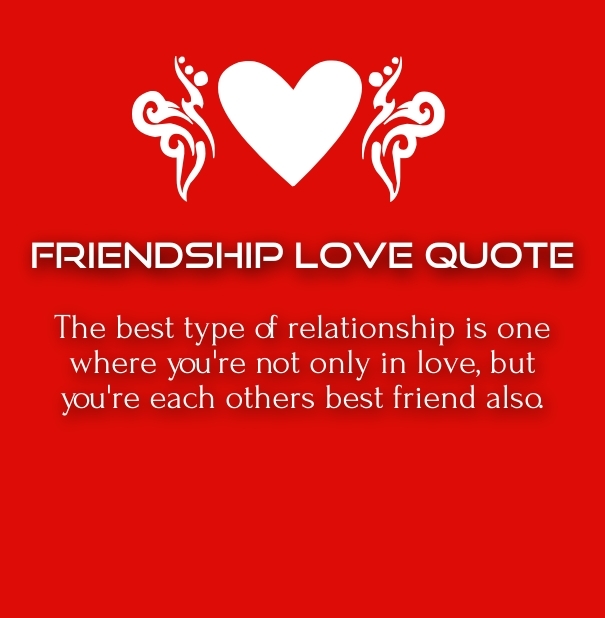 In this quotes you can differentiate love and friendship. 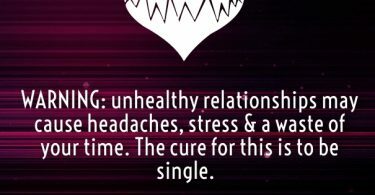 In love you have strong feelings for your partner while in friendship you can help your friend. So if you want to help others then behave like a friend not a lover. 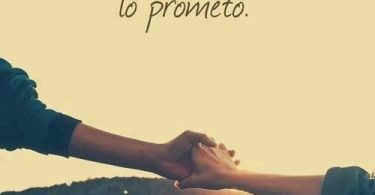 Love Proposal for your Best Friend! If you have strong feelings for your best friend then dedicate her / him this cute romantic saying and propose her to stay in your life forever. 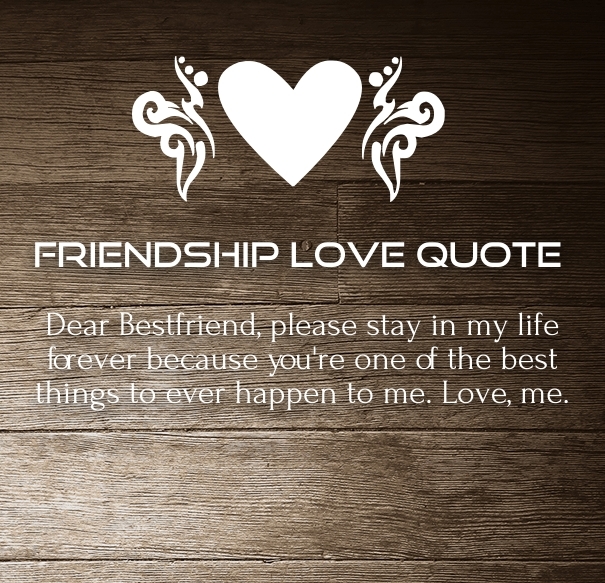 Love quotes for your bestie to tell her we are more than just friends, I Love you! When you spend lots of your time with your best friends, there are lots of chances that you may fall in love with each other. 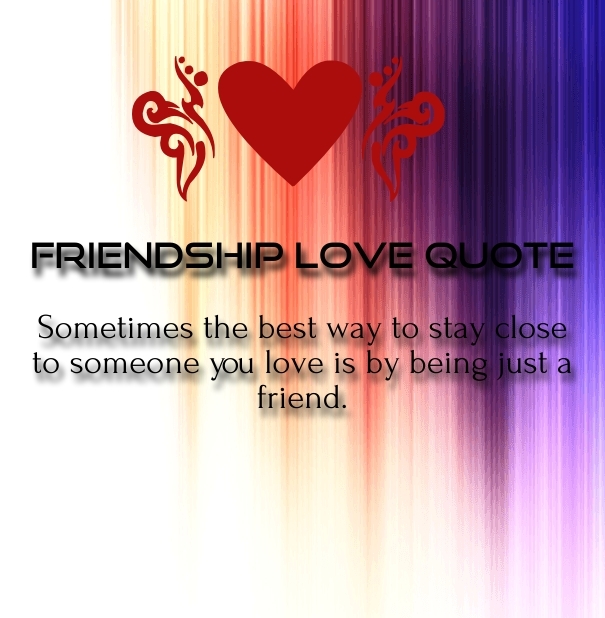 To convert your friendship in love, use these romantic friendship quotes to dedicate her or him. Specially if you both are childhood cousins or friends. 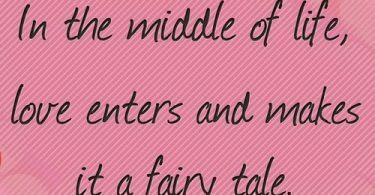 I am sure you will enjoy these sayings very much. Share these images on your Fb wall and send privately via WhatsApp or as messages to your friends and reveal the secret of your heart.